I was on one of the Virgin Pendalinos. I’ve been on them loads of times but that day I just felt dreadful. I wasn’t the only one. The two women opposite – one returning home to Glasgow, another heading for a walking holiday in Derwent Water – were also struggling as the train bounced around on its way up the West Coast Mainline. 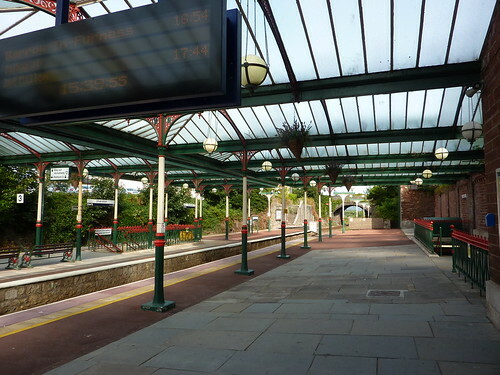 All in all, I was rather happy to get off at Lancaster, so I could change to the slightly more sedate journey on the branch line to Ulverston. 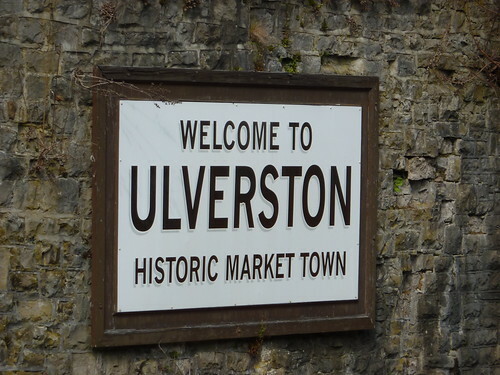 Why Ulverston? Ah well. That’s where the story really begins. And it’s why, on a Saturday night towards the end of August, I found myself writing the beginning of the tale in a small notebook in the 16th century Rose and Crown inn, wondering why they hadn’t realised that the Lilly Allen CD they were playing, was already on its second way through. I’d bought an extra week of leave from work, cos, frankly, five weeks leave is just never enough. For a small financial sacrifice, I could go up to six. But once I’d bought it, I’d realised I hadn’t any idea what to do with it. So I decided to go away and do something. By myself. Actually I’m 31 (nearly 32) and I’ve never been on holiday by myself. With parents, with friends, with school. Yes. Alone. No. Never needed to. There was always someone around. The more I thought about it, the bigger a deal it seemed to be, and the more I wanted to put off doing something with this weeks leave. It seemed daunting. Well yes, I’m sure she would. But then she’s got other things to do. Say you’re out walking by yourself and some people then look at you as if you’re bonkers. Yet still there was something still making me prevaricate. So sometimes you have to grasp the bull by the horns. So after much prevarication, I sat at home one evening and did a mass hostel booking session. 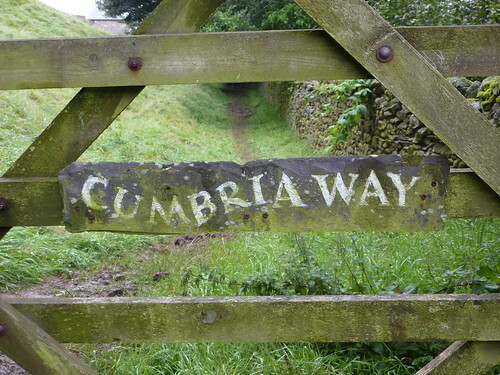 I’d decided to go off and so some walking and as I wanted to get out of the South East of England, I opted for the Cumbria Way – a five day hike to Carlisle. A trip to the North West was therefore in order. I supped my beer, the selection of was rather appropriate given it was Hartley’s “Cumbria Way”. Here’s to five and a half days of nothing but hills, and my own mind then. Oh and maybe another pint. Well it is Saturday night. Postscript: for those wondering, a “Gammon Jamboree” is, according to the Rose and Crown, two large gammon steaks with mushrooms and covered in melted cheese. It is served with chips, and if you’re arteries are beginning to feel rather clogged at the thought of it already, a salad that includes mixed pulses, celery, lettuce, pepper, cucumber and more. It costs £9.99. And people think London is expensive for pub food. Pah. It’s everywhere dudes, it’s everywhere! First Published: 30 August 2009. Last Updated: 27 August 2015.